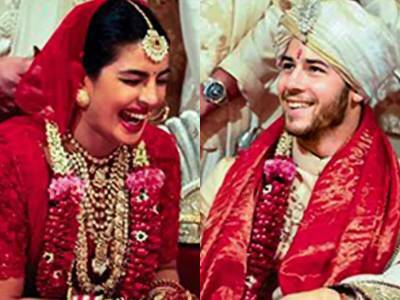 Result with label "NickYanka Wedding"
Priyanka Chopra And Nick Jonas’ New Hindu Wedding Pictures Are Love Personified! 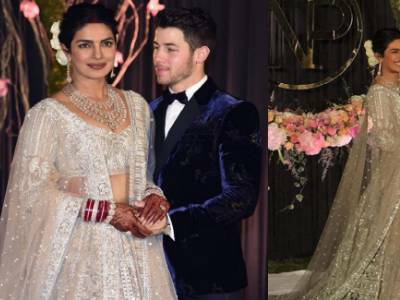 NickYanka Wedding: Designer Sabyasachi Gives Us A Sneak Peak Into The Creation Of Priyanka Chopra's Beautiful Hindu Wedding Lehenga! 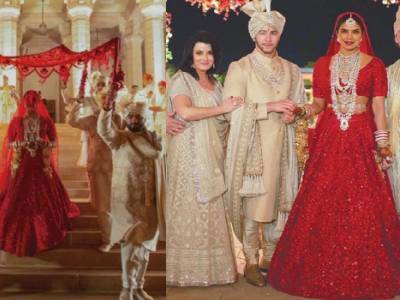 NickYanka Wedding: The Latest Wedding Pictures Of Priyanka Chopra And Nick Jonas Are Just Out Of A Dream! Priyanka & Nick Make A Stylish Appearance At The Bumble Launch Party Post Their Reception In Delhi! 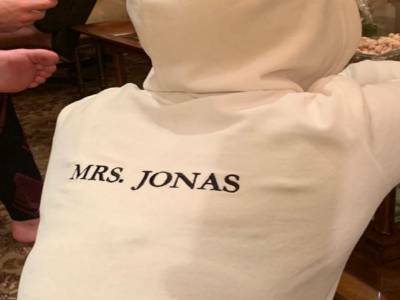 Priyanka Chopra Donning A 'Mrs Jonas' Jacket Will Surely Melt Your Heart Away! 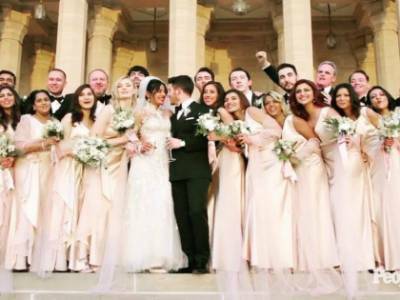 Parineeti Chopra Posts A Beautiful Picture Of All The Groomsmen And Bridesmaid Of The Couple! 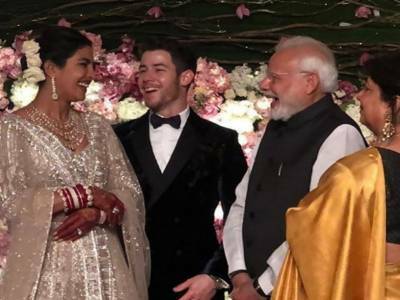 NickYanka Reception: PM Narendra Modi Arrives To Wish Priyanka And Nick At Their Reception! 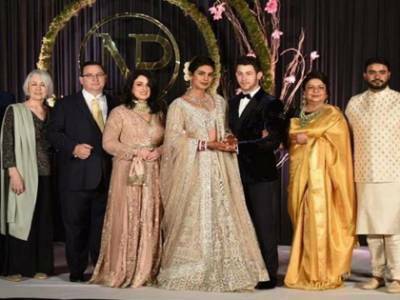 NickYanka Reception: The Families Of Priyanka And Nick Are All Smiles For The Shutterbugs! 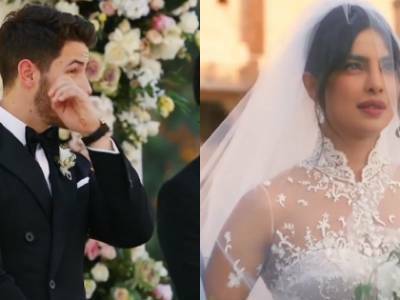 NickYanka Wedding: Nick Wipes A Tear As He Sees His Bride Priyanka Chopra Walking Down The Aisle! 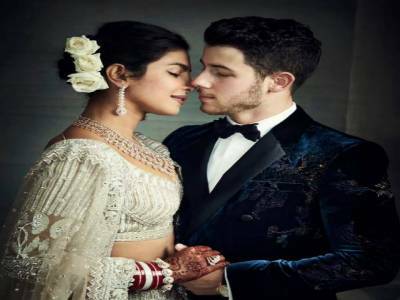 NickYanka Reception: Priyanka Chopra And Nick Jonas Make Way For A Regal Couple On Their Reception! 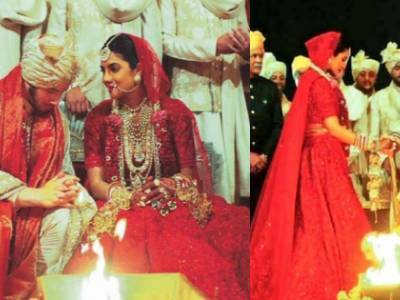 NickYanka Wedding: The Bride Priyanka's Lehenga Had The Name Of Her Parents Inscribed On Them!